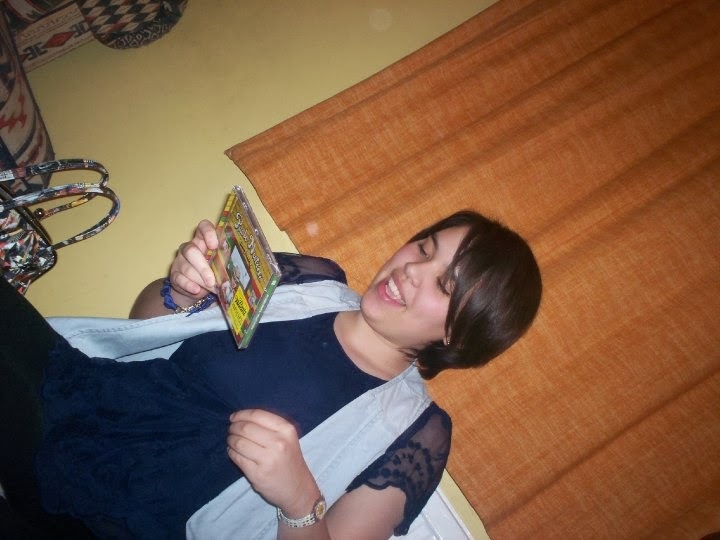 Ah so this lovely photo was taken at my 16th Birthday party (4 years ago...it's hard to believe!) back then I was sporting a spur of the moment short do and I was also mid Paolo Nutini obsession. My lovely friends surprised me with his 'Sunny Side Up' album and it was played over and over again. But over the years Paolo seems to have slowly disappeared from the front line of music. This came as a bit of a disappointment to me as I had grown accustomed to his Scottish, gravely tone and while his first two albums were amazing, I was ready for something new. But, it wasn't to be, at least, that was the case until a couple of weeks ago. One sunday I was reading the newspaper and what did I see? Only an article on how Paolo Nutini was making a comeback, a new album named 'Caustic Love' is to be released on the 14th Arpil (save the date) pre-order here and I for one will be first in line to pick it up. The second wave of excitement occurred this morning as I opened up my laptop to find that he had released an Abbey Road Live Session of one of the songs 'Iron Sky' and what can I say, ITS BRILLIANT!! Head on over here to watch it. I have had a very good year in regard to music, Bastille, Haim, 1975, Kodaline, Ben Howard, To Kill a King and London Grammar all featuring heavily on my iPod, but Paolo Nutini's new album really will be the cherry on top of the cake, I have waited patiently for 4 years for this release, and finally it's here!